The Washington Capitals will begin defending their Stanley Cup Championship with a 1st round match-up versus the Carolina Hurricanes. The schedule of games will not be announced till Sunday morning at 10AM, but the series could start as early as Wednesday or Thursday from what we understand. Washington and Carolina once had a decent rivalry when they battled for the lead of the Southeast Division, but have actually never met in the playoffs. Since the move to the Metropolitan division, the Hurricanes have been largely irrelevant, as they have not advanced to the post-season in the past 10 years. Washington won the Metro division for the 4th straight time this season, and avoided playing the Penguins in the 1st round when they survived to overtime tonight versus the Rangers. A storm has been gathering in Carolina during the second half of this season, and their popular Storm Surge celebrations after home victories have propelled them into the post-season. The creative celebrations caused Don Cherry to label the Canes a “bunch of jerks”, but only helped to increase the fans’ love of the team. The Hurricanes have been hot down the stretch, and the fan base is totally engaged in their run, so Carolina may be a tougher than expected opponent for Washington in the first round. 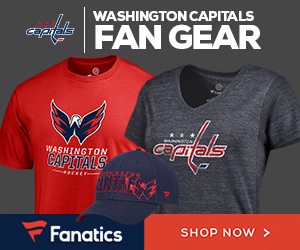 The Caps swept the season series with 4 victories, so we predict the Capitals will Rock the Red like a Hurricane and emerge victorious!